He didn't do it alone...He needed people to reach people. He believed in people yet he never took for granted the weaknesses and the tendencies of those with whom he usually came in contact . Hence, he defined his relationships, this was clearly seen in the levels and the nature of the relationship he maintained. Jesus came for the world, this was the main definition of his mission statement. he was born in the middle east in Israel growing up in Nazareth and isolated village in His time but at 2014 had a total population of over 74,000 and currently the capital and the largest city in the Northern District of Israel..Jesus understood how God so much loved the world to send His only son to the world-hence hew knew the scope of his mission was to all the world from Jericho to Jerusalem, from Judea to Jalingo, from Lagos to Los angeles even beyond the ends of Quebec into Qatar. 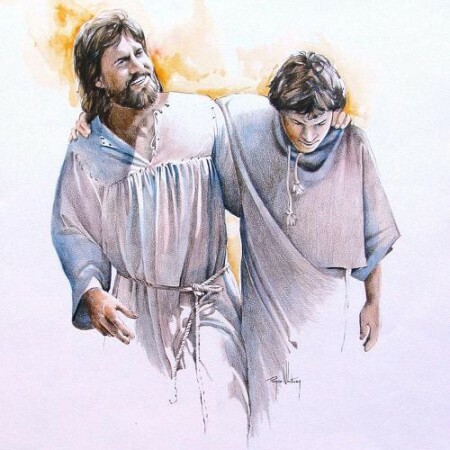 So he went anywhere he could starting from Israel; but to reach everywhere, he had a succession plan to enable him reach everywhere through his disciples even after his death and resurrection. Jesus wants to turn and redeem the whole world back to God. To reach the world, Jesus had to begin from a strategic point. A prototype of the entire world, he chose 70. Jesus strategically chose and sent his emissaries bearing his power and anointing into all cities even before he himself went there. These were the seventy , he paired them up in twos called, empowered and sent them to liberate every one they come across while spreading the vital message of the Kingdom. Every individual, institution or organization will always need to define roles and levels of relationship every time. Let's keep walking with Jesus, it's an adventure of a life-time.